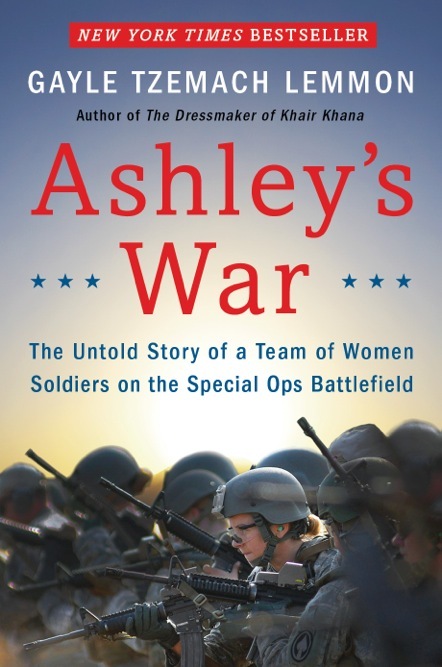 In April, journalist and bestselling author, Gayle Tzemach Lemmon released “Ashley’s War: The Untold Story of a Team of Women Soldiers on the Special Ops Battlefield.” It’s an account of the Army’s Cultural Support Teams that were established in 2010, calling on women volunteers from across the Army and National Guard to join special operation missions, despite being officially banned from combat roles. The book is centered on the life and death of 1st Lt. Ashley White who was killed during combat operations in Kandahar Province, Afghanistan on October 22, 2011 while attached to a Joint Special Operations Task Force. Lemmon recently told us what compelled her to share this story. When did you first hear of the CST program, their mission, and Ashley White? 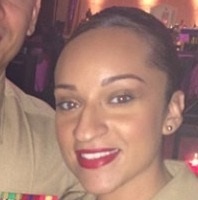 I first heard of Lt. White from Claire Russo, a former Marine. She told me that women had been on night operations alongside Rangers in 2011 — it was then 2012 — and I immediately wanted to know and hear more given that I thought, like most of America, that the combat ban meant women were not on raids with special operations. I learned quickly just how much I had to learn. When did you decide that this was a story that needed to be told, and what compelled you to write it? As soon as I met the White Family and then met the other women on this extraordinary team – this band of sisters we had never before seen as a country who had been recruited, trained and deployed as a team and who would forever be connected both by what they had seen and done on the special operations battlefield, by the caliber of people alongside whom they had served, by the loss of their beloved teammate, and by the fact that no one – not even their big Army commanders – really knew what they had done in their year in Afghanistan — all of that made me convinced I had to bring this story about a groundbreaking team of women and the incredible men they served with to the country. How long did it take, and what was the most challenging part of writing this book? This book required two years of reporting, hundreds and hundreds of hours of interviews with everyone from Gen. McChrystal and Adm. Olson to the women on this team to the White Family to Rangers who had completed 12 and 13 deployments since 9/11. The most challenging part was the reporting: answering the questions 1) who were these women; 2) what were they doing on night raids while the combat ban remained in place; and 3) why don’t we know them as a country? You’ve covered stories in Afghanistan for a decade now. Was there anything you took away from writing this? Anything in particular you hope readers takes away? I hope this book does its small part to narrow the gap between the less than one percent which has fought 100 percent of the last decade of wars and the American public. We must know and understand who these brave people are who answer the call to serve, because if we don’t understand as a nation what we are asking of them, then we cannot fully understand how prepared or unprepared we are for future wars. Ashley’s War is a story about recent history and also about the future force. And while so many people talk about what women could do and should do in combat, we have spent precious little time exploring what women already have done on the battlefield. I hope Ashley’s War introduces readers to a whole new team of warriors who will forever be more than friends – they truly are family – and they are bound by their service, their courage, their grit and their valor. “Ashley’s War” is available on Amazon.